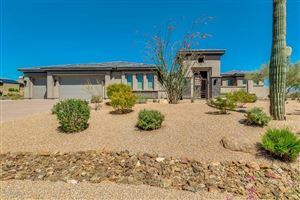 Saguaro Estates is a gated community by Toll Brothers in North Scottsdale. Saguaro Estates includes 88 homesites, located West of Scottsdale Road, with an entrance on the South side off of Pinnacle Vista Drive. Toll Brothers offered 6 single-level floor plans, ranging from 4,000 to 7,700 square feet. First homes were complete in 2006 to 2017.